Born Lagos, Nigeria (1955). Bachelors, Oxford University (1976); MBA, Harvard Business School (1980). Hakeem Belo-Osagie, chairman of Nigerian-based United Bank for Africa (1988 to 2004), illustrates the difficulties of building a multinational financial institution active in multiple African countries. Belo-Osagie highlights the strategic problems he faced navigating local regulations in the Nigerian banking sector while seeking to build global competitiveness. He further recounts the political turmoil he encountered while trying to significantly reduce staff as he tried to privatize his operations, and the particular difficulties Nigerian entrepreneurs and business leaders faced in the early 2000s trying to overcome the stigma associated with the country due to online fraud activity. "Six Lessons Nigerian Tycoon Hakeem Belo-Osagie Has Learnt in Business," How We Made It in Africa, June 24, 2014. 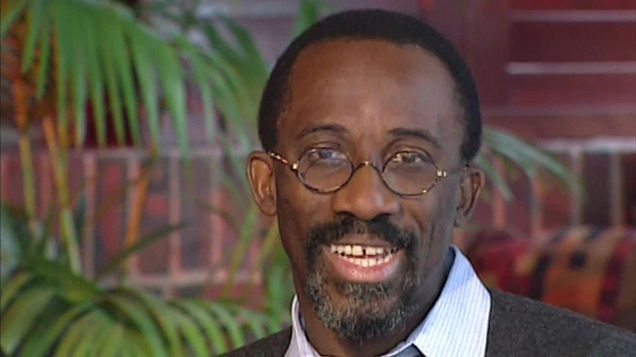 "MIT Sloan Africa Innovate Conference 2014: Hakeem Belo-Osagie" Youtube, Posted May 28, 2014. "Hakeem Belo-Osagie Leadership Lessons," YouTube, April 4, 2014. “Nigerian Businessman Belo-Osagie Honored By the Harvard Business School's Africa Business Club and the African Leadership Academy,”The Nigerian Voice, May 23, 2012. "The ‘Citizens of the World’ Tackling Africa’s Next-Generation Business Challenges," Knowledge @ Wharton, February 29, 2016. "Interview with Hakeem Belo-Osagie, interviewed by Obi Isiadinso, March 2002, Creating Emerging Markets Project, Baker Library Historical Collections, Harvard Business School, http://www.hbs.edu/creating-emerging-markets/."